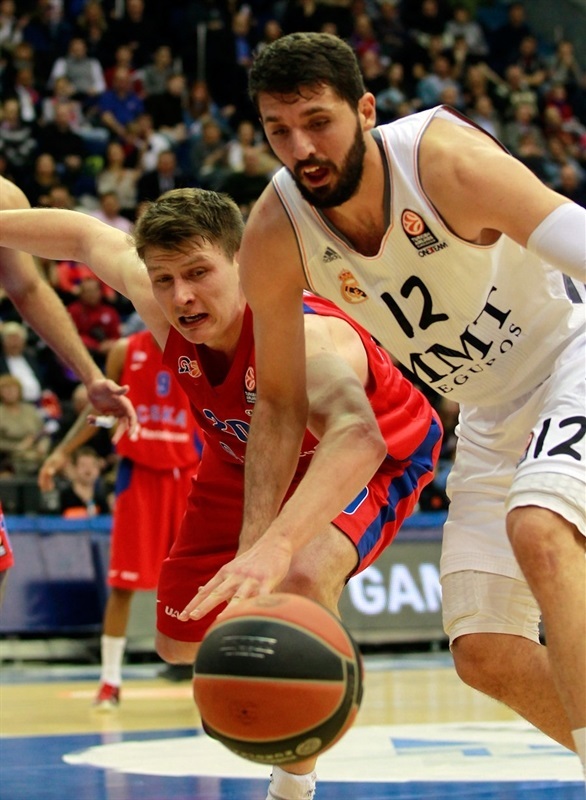 The Euroleague's second-longest unbeaten streak this century is over after CSKA Moscow led practically from tipoff to the final buzzer to turn back visiting Real Madrid 85-71 in the Game of the Week. Both teams now have 3-1 records in Top 16 Group F, while at the end of the game, Maccabi Electra Tel Aviv remained unbeaten at 3-0. CSKA was missing two top performers due to injury, Kyle Hines and Sonny Weems, while Madrid travelled without sharpshooter Jaycee Carroll for the same reason, but the star turned out to be the home team's defense. 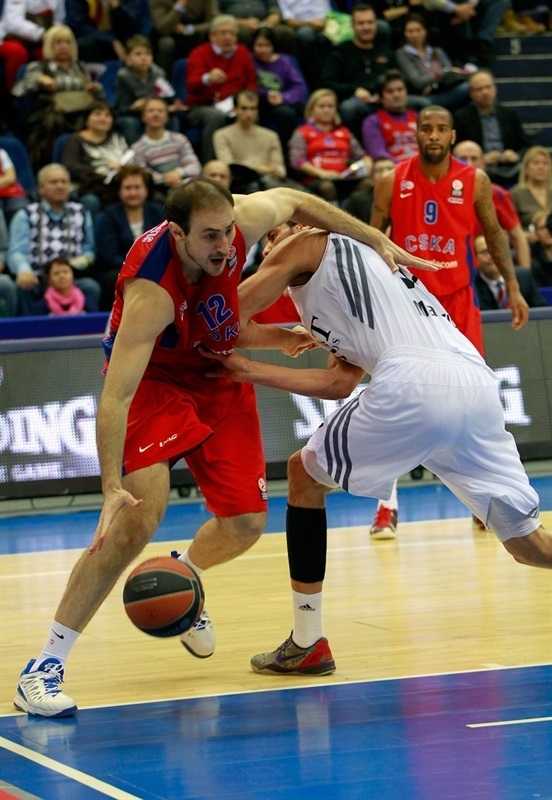 CSKA worked 40 minutes to hold Madrid 19 points below its season-long scoring average of 90 points. 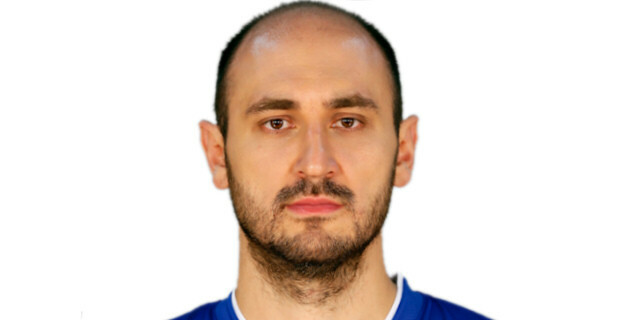 Nenad Krstic led the winners with 18 points, while surprise starter Andrey Vorontsevich and Vladimir Micov added 14 points and Vitaly Fridzon 11. Victor Khryapa added 9 assists Vorontsevich paced the hosts to a 23-8 start that ballooned to 37-18 in the second quarter, but Madrid came back to within 58-55 near the end of the third, but could not get closer. 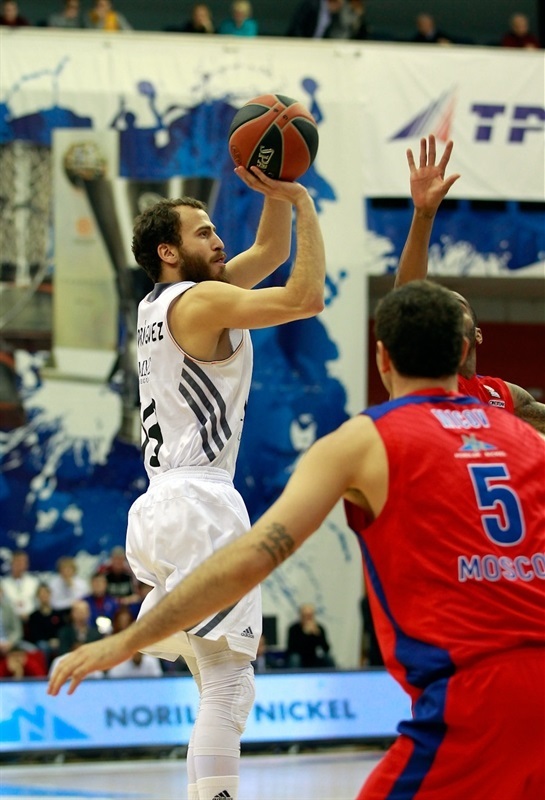 Madrid got 19 points from Sergio Rodriguez, 15 from Sergio Llull, 13 from Nikola Mirotic and 11 from Tremmell Darden. An individual highlight for Madrid was center Ioannis Bourousis grabbing his 1,000th career rebound - only five players before him this century had done so - on the offensive glass in the first half. The end of Madrid's 13 wins in a row to start the season leaves CSKA's 17 in a row back in the 2004-05 season as the still-standing record. Free throws by Vorontsevich got the scoreboard rolling before Darden fired in a three-pointer for Madrid's first lead, 2-3. Vorontsevich put back his own miss and Khryapa 2 free throws for CSKA, but Rudy Fernandez found Darden for a fastbreak layup-plus-free throw to tie 6-6. Fridzon want back-door for an alley-up layup that put CSKA back in front and Vorontsevich dropped a three-pointer to make it 11-6. Fridzon added his own triple next time down the floor, forcing a Madrid timeout. Mirotic's tip-in ended an 8-0 run for CSKA, but Krstic started another with his quick one-hander and Fridzon made a three-point play out of a fastbreak to suddenly give the hosts a double-digit lead, 19-8. 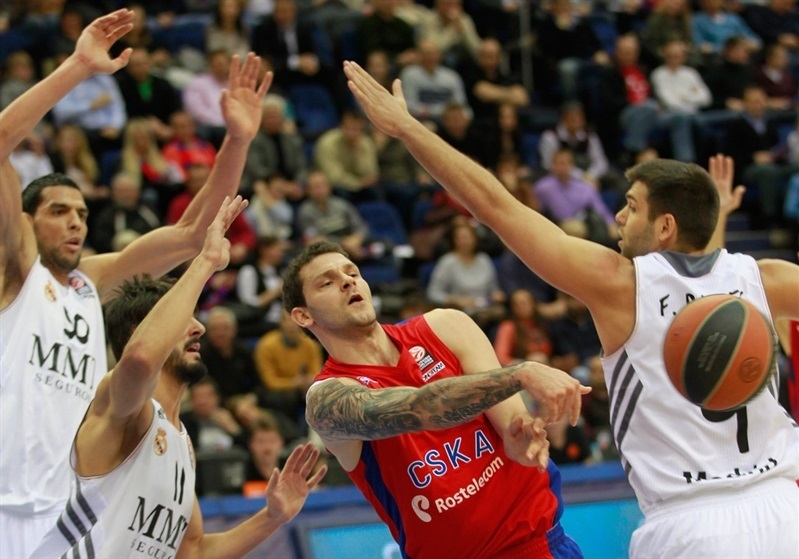 CSKA's defense continued shutting down Madrid as Micov said hello with a three-pointer in transition for a 23-8 difference. Salah Mejri got 2 points back under the basket, but that's all the visitors could manage before the first quarter ended 23-10 in CSKA's favor. Free throws by Rodriguez started the second quarter, but Aaron Jackson answered with a three-point play to make it 26-12. Mejri put down another inside basket but otherwise Madrid struggled, especially on the boards, where CSKA held a 20-7 advantage then. Vorontsevich reappeared with a three-pointer from the corner. When Krstic made 1 of 2 free throws, CSKA had a new high lead of 30-14. Madrid needed a spark that Fernandez supplied with a follow-up dunk on the fly and a step-back running jumper from the lane. But CSKA responded with a triple by Jackson and a layup by Jeremy Pargo as the lead swelled again, to 35-18. A timeout by Madrid didn't keep Krstic from adding a jump-hook to the margin before Rodriguez broke free for 2 three-pointers in a row at 37-24. Krstic was ready with another hook shot and the free throw that came with it for a 40-24 advantage. However, in the last 2 minutes of the quarter, put-backs by Slaughter and Mirotic showed how quickly Madrid could recoup points to cut the difference to 40-30 at halftime. Darden's 2 of 3 free throws to start the second half got Madrid back within single digits for the first time since midway through the first quarter. Bourousis dropped an inside shot before Darden made the same corner shot he had been fouled on previously, and suddenly cut the difference to 40-37. After a timeout, CSKA went to Vorontsevich for its first basket of the second half, although Mirotic quickly matched it for Madrid, just as he did the first 2 points by Milos Teodosic at 44-41. Khryapa hit a baseline jumper that Llull answered in spectacular fashion, beating the shot-clock, but Krstic's free throws and jumper, sandwiched around and a fastbreak layup by Vorontsevich, kept CSKA in charge at 52-43. After Llull popped a corner triple, Krstic was left open again for another two-pointer, as was Jackson, as CSKA's double-digit lead was restored at 56-46. Rodriguez returned from a timeout with his third triple, while Mirotic was perfect at the foul line to make it 56-51. Micov came up with a key jumper that Mirotic answered with a triple on an inbounds play as Madrid got within 59-55 at the end of three quarters. 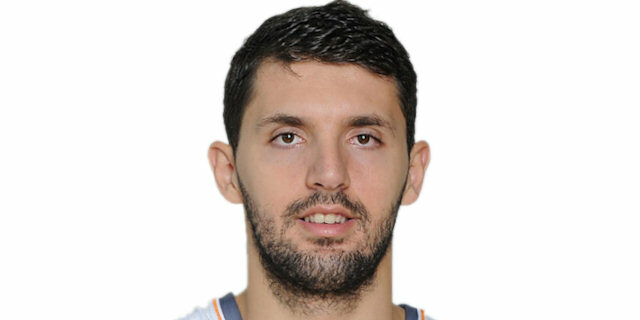 Fourth quarter: Micov, Krstic shut the door! Micov opened the fourth-quarter scoring with a strong drive. Rodriguez got loose for a fastbreak, but CSKA's Sasha Kaun got just as open for an easy basket-plus-free throw and powered in another 2 points to make it 66-57. Rodriguez scored in close for Madrid before Llull made a teardrop among the centers at 66-61. 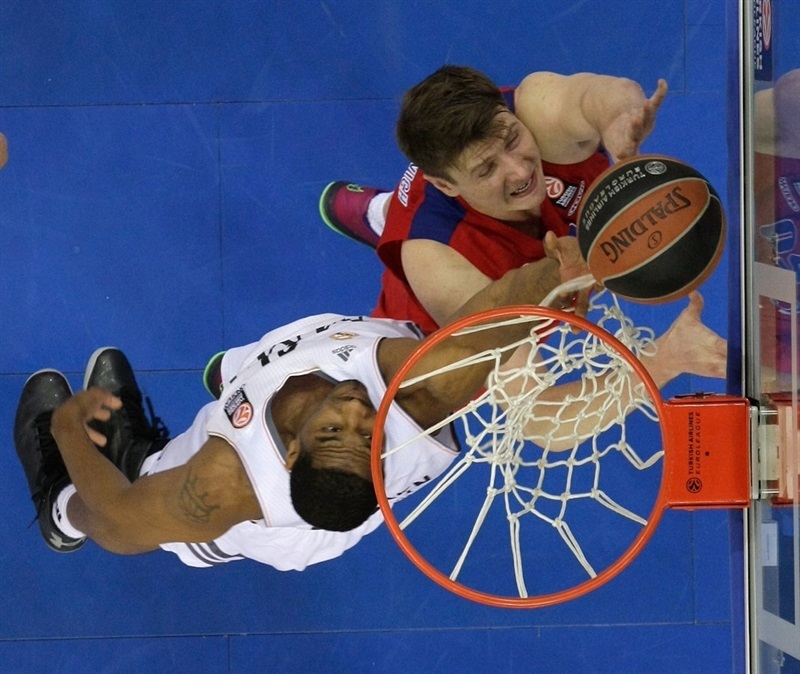 But as before, as soon as Madrid got close, CSKA found release, this time on a triple by Fridzon. And when Micov was left open in the corner, he had no pity and put CSKA up 11 points again, 72-61, with 5 minutes to play. Kaun kept it going with an inside basket, but one defensive stop after another proved where CSKA's victory was coming from. Despite tempers flaring near the end, a flurry of late three-pointers - Llull's third and fourth for Madrid answered by one each from Micov, Teodosic and Krstic - helped CSKA made sure to take a victory big enough to help it in a potential future tiebreak situation against Madrid, whose streak was over a while earlier in Moscow. "It was a great team effort. I am proud of my team, which played hard, which believed in what it was doing. We defended well throughout 40 minutes, with some exceptions, and we were patient on offense. Overall, I think we did everything needed to win the game and all my players deserve only excellent words. I want to thank our fans, who created a great atmosphere in our gym." "My congratulations to CSKA, which absolutely deserved the victory. The key was in how we started the game. 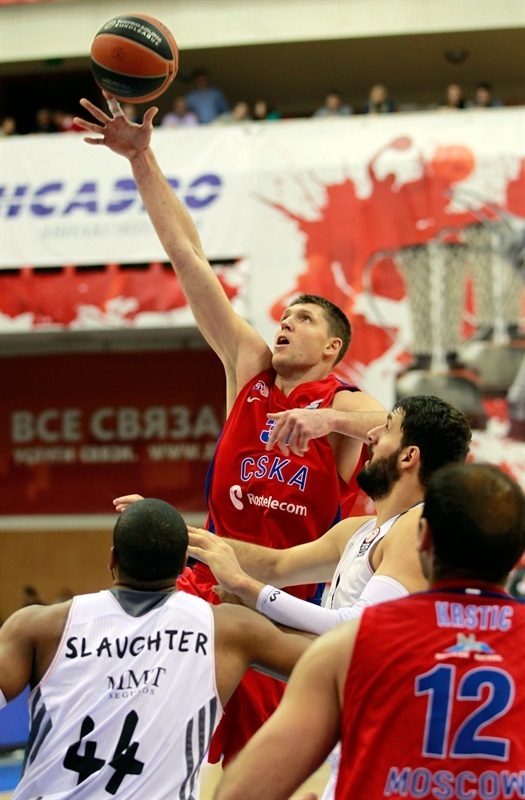 CSKA played really hard and we weren't able to catch the rhythm. The hosts were up by 13 by the end of the first quarter and in the end they appeared to maintain the lead throughout the whole game. We tried to change something, we changed our defense and offense, and we cut the lead to 2 to 5 points, but we weren't strong and smart enough to turn the game around. I should say again that we played against a great team that deserved to win on this given night." " It was a good game for us. I think we controlled the game for almost 40 minutes. We had some downs, but as you could see through the whole game we wanted to win it very much. Also we played without our key players, Hines and Weems. But usually when you miss some important players you play harder. I’m happy than we ended this series because everyone talked about Real as the best team right now. It is a huge step for us." "CSKA was stronger than us physically. We did not have enough power to beat them. They ran away from us by scoring in the first half. In the third quarter we came closer, but lacked energy. We should not worry because it’s our first loss of the season. "